From the speculation of the title of the album, to the somehwat mixed reviews critics have written on the record, Madonna keeps her throne as queen of pop, this time around moving towards an even more electronic sound that has more than one questioning if MDNA is commercial enough. Just to give you some advice: give the album more than one listen, because it will grow on you. 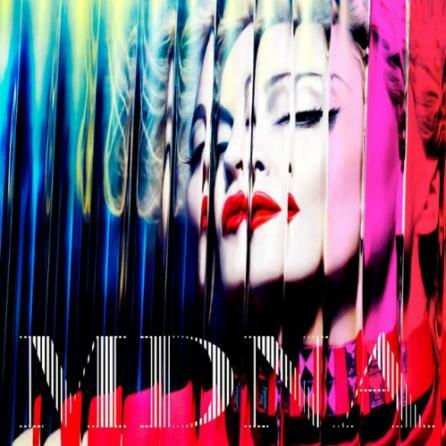 Named after MDMA, in case you live inside a cave MDNA is what most people know as ecstacy, Madonna started creating buzz around the album and the obvious musical direction she would take, which is of course a more electro-house-esque approach. In previous albums, Madonna has been known to have a dance music presence in her singles, that will easily trascend to be radio friendly, but with MDNA the main issue is that some of the songs are so heavily influenced by beats and synthesizers that it will take a while for anyone to say “Oh, this IS a Madonna song“. And while some may find an issue with the album not being too commercial, I applaud Madonna’s efforts of creating a fun album, party anthems that might be played at the club rather than the radio, an album that after a few listens will make you want to dance. Or like one of the bonus tracks of the album, “I F*cked Up” in which Madonna bares her soul saying that she made a mistake, that if things weren’t different they would still be together. Overall, give MDNA a try, after a few listens it will start to grow on you. Madonna still keeps her throne as queen of pop but remains relevant with today’s music by adding an even more electronic sound to her repertoire. Next ArticleTYF Column: Is Chevy Chase Right?